Most of the time, you'll view your tasks in chronological order as you manage them. 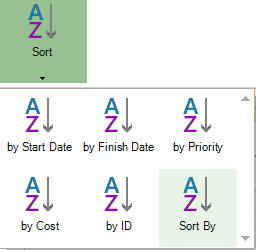 Use Sort to see tasks by Start Date. Go to the Gantt Chart. 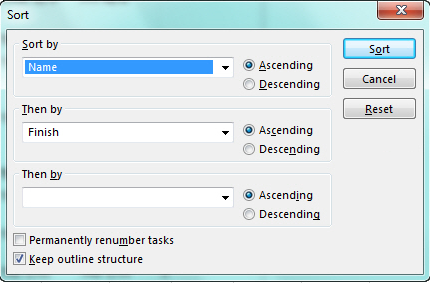 Select Task name and ascending. That's the quick and dirty way to sort view. The Sort dialog box helps you sort by multiple columns at the same time and gives you a way back to your project's original outline structure if things get messed up. 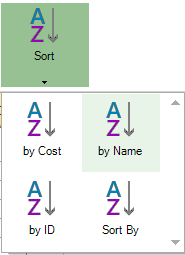 Click Project > Sort > Sort By. 2. In the Sort By box, pick Name. 3. Select Ascending (if it isn’t already selected). 4. 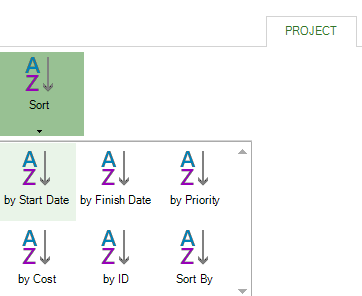 Select Keep outline structure to make sure you can restore your project to its original form later. The application alphabetizes summary tasks first and then alphabetizes the subtasks under each summary task. Undo it! In the Sort dialog box, click Reset and then click Sort. See who's scheduled to work on each task without leaving the Gantt Chart. Go to the Resource Sheet.